Ready for success? Get started with the Vendio Platform. Vendio offers well designed and great looking eBay templates. 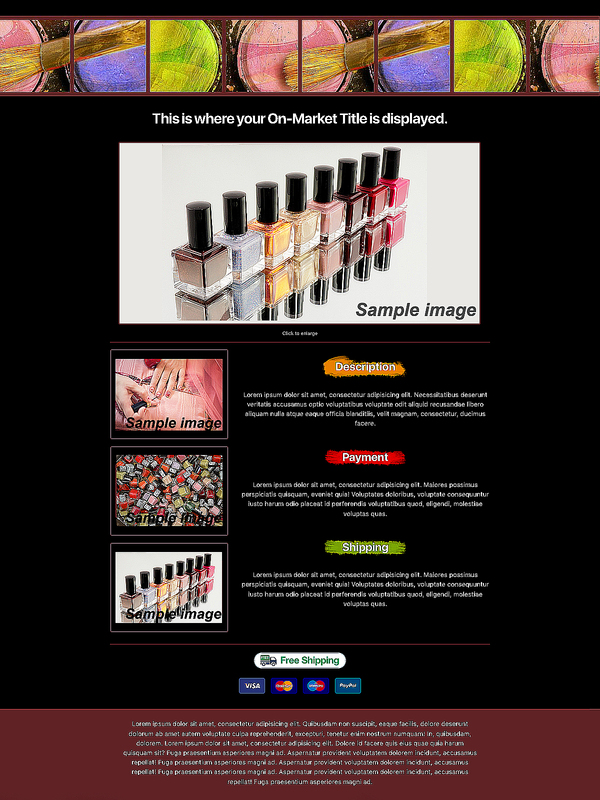 Our eBay templates provide a professional polish that helps buyers feel more confident in you and your business. This increased confidence, coupled with an eBay template on The Vendio Platform, will lead to more sales. All templates provided by Vendio are mobile friendly and comply with eBay's active content policy. 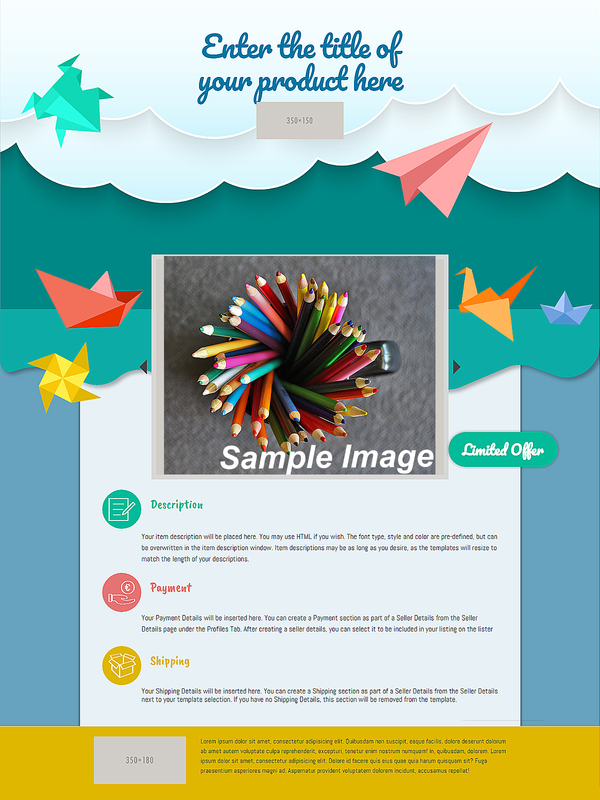 Sign up today to enjoy an ever-growing collection of high quality and free eBay templates. With the The Vendio Platform, you get access to an ever growing collection of high quality and free eBay templates. 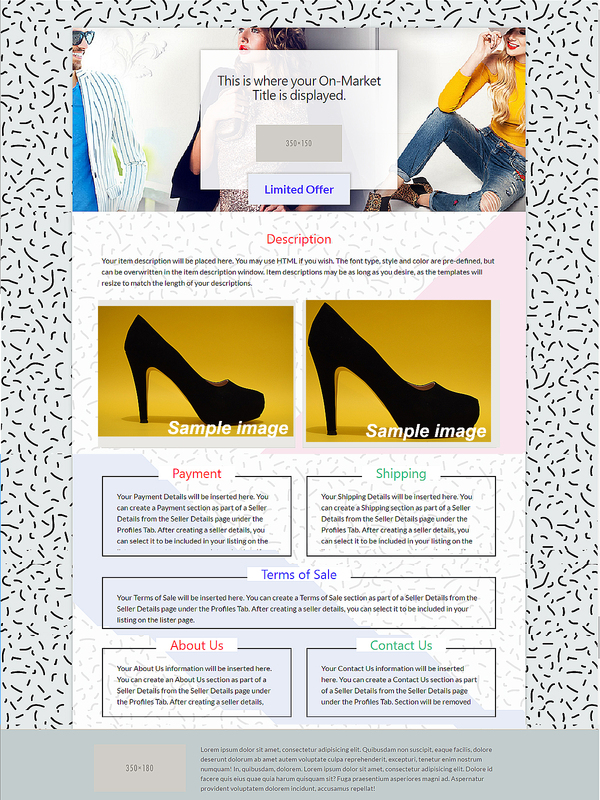 To help further boosts sales Vendio's eBay listing templates have customizable layouts that allow multiple configurations for all of our eBay templates. There's nothing worse than getting traffic to your eBay listings and then losing potential buyers because you didn't have a well-organized eBay template. All of the Vendio Platform's free eBay templates can be customized so that your buyers are seeing what the listings you want them to see and how you want them to see it. 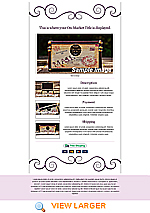 Vendio's eBay templates come in a variety of styles for every season, holiday and occasion. 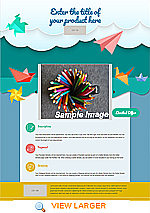 You can also choose eBay listing templates based on the categories that you sell in most. For example, if you sell mainly in the clothing & accessory category, you should choose an eBay template that has pictures of clothing. Another idea would be to use an eBay template that matches or complements the colors of the clothing you're selling. If you sell in the electronics category, choose an eBay template that has similar images. You could also choose an eBay template that evokes sleekness and is in a neutral color palette (like blue). Think of your eBay listing template as the packaging on your product - it should highlight product features, not detract from them. 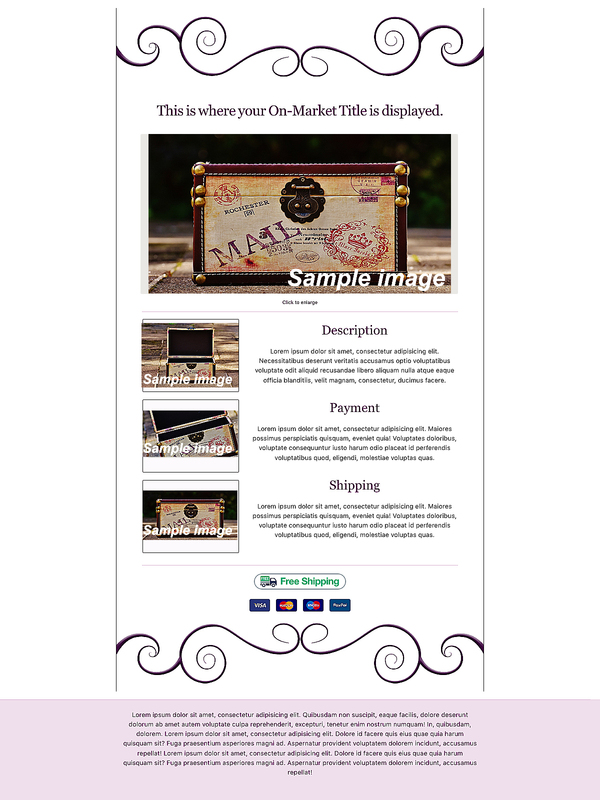 Most importantly, however, our eBay templates are not just a pretty picture or design. 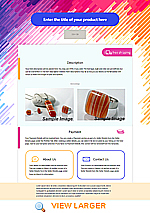 We think carefully about the user experience before creating our eBay templates. Some eBay listings have templates with colors or graphics that are distracting with too many colors or poorly designed product information elements. 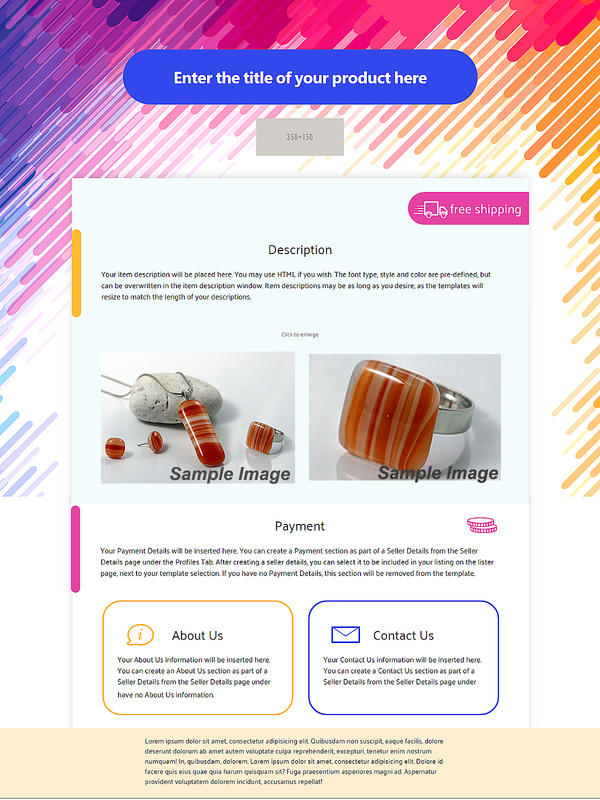 You ideally want an eBay template that compliments what you're selling and also allows the reader to absorb all the information about the product in an easy, fun way. The mobile experience is an important factor that can turn a visitor into a buyer. This is why the Vendio templates are all not only responsive, but also make your product description stand out on any mobile device. 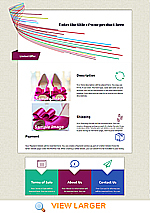 All the eBay templates provided by Vendio have an active content compliant software and design. Active content can inhibit mobile purchasing, increase security vulnerabilities, and have a negative impact on the overall user experience. For these reasons, eBay restricts the use of active content. Vendio templates are active content-free and comply with all the rules of eBay. 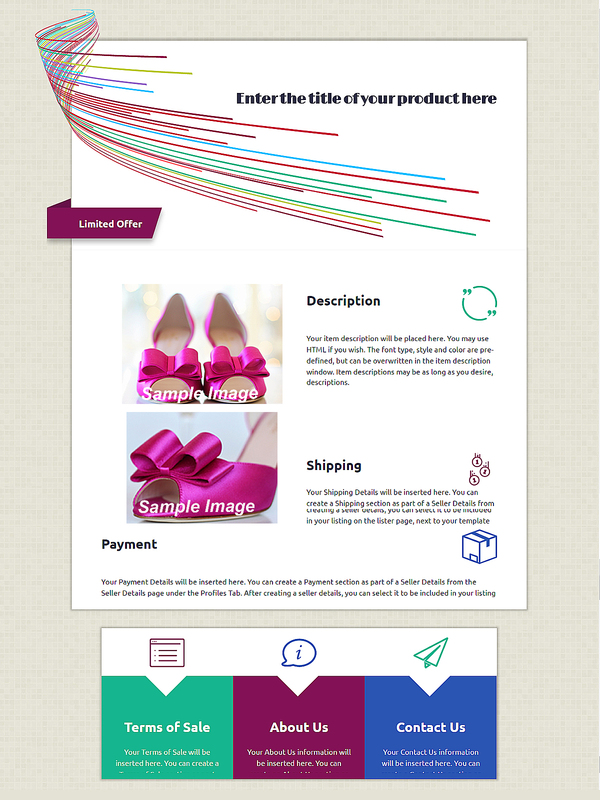 They are everything you need to give your products description an outstanding look.